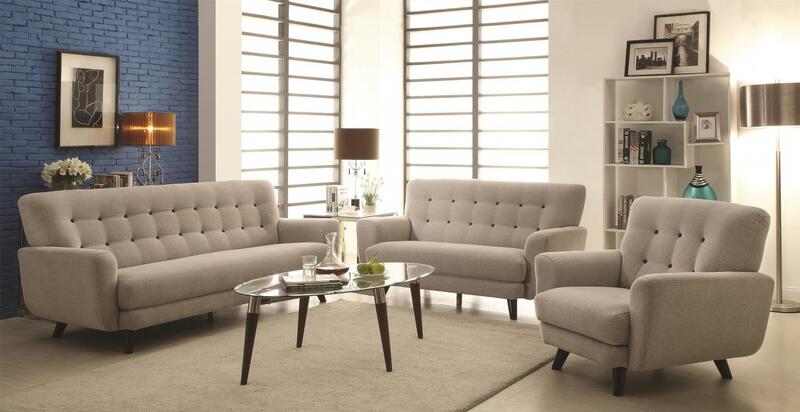 Introduce a little mid-century modern into your home with this living room sofa. This piece features a contemporary style that takes its inspiration from trend-setting styles of the past. It has light button tufts across the seat back that are upholstered in a contrast fabric for an eye-catching element. Complete with track arms and exposed wood legs, this sofa is a true item of style.